Human ribosomal RNA genes encoding a pre-transcript of the three major ribosomal RNA (18S, 5.8S, and 28S rRNA) are tandemly repeated in human genome. Their total copy number varies from 250 to 670 per diploid genome with a mean of approximately 420 copies, but only a fraction of them is transcriptionally active. The functional consequences of human ribosomal RNA gene dosage are not widely known and often assumed to be negligible. 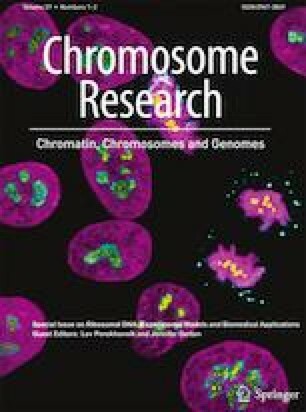 Here, we review the facts of rRNA gene dosage effects on normal growth and aging, stress resistance of healthy individuals, and survivability of patients with chromosomal abnormalities, as well as on the risk and severity of some multifactorial diseases with proven genetic predisposition. An original hypothesis that rRNA gene dosage can be a modulating factor involved in the pathogenesis of schizophrenia and rheumatoid arthritis is put forward. LNP and NAL equally contributed in writing this review, including source material selection, their arrangement in logical sequence, putting forward hypotheses and future prospects, etc. LNP translated the manuscript to English. Both authors participated in critical revision and approved the final manuscript before submission.